notwithstanding external Western pressures and Indian hegemonic designs to tilt power balance through its nuclear tests, opted courageously in 1998 to respond, and restored the power balance in South Asia through six tests. neighbourhood that was clamouring to impose another war on Pakistan with its ill conceived expansionist designs. celebrated every year across the country as a day of national pride and thanksgivings which made Pakistan the seventh nuclear nation of the world and the first Muslim state, having the nuclear arsenal in its defense stockpile to exercise maximum deterrence for peaceful purposes. the high soaring spirits of a nation which refused to cower down by the repeated threats of war mongering mindset in its neighourhood during the long history of “hot and cold” ties between Pakistan and India. and not to respond in kind, the then Prime Minister of Pakistan Muhammad Nawaz Sharif went for the bold decision to test the Pakistani nukes and thus skewed back the strategic slanting power in the region. 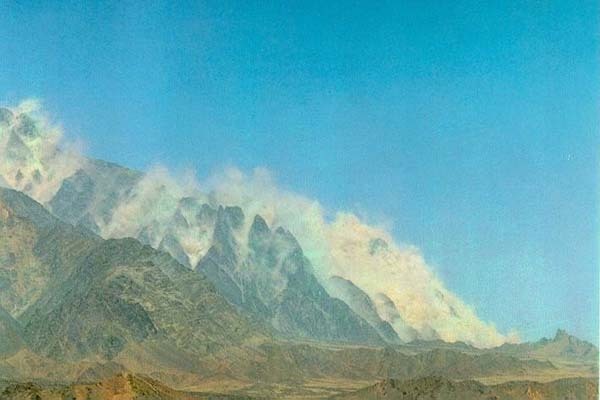 first test on May 28, 1998, by detonating five of its primary nuclear weapons at 1030 GMT at the RasKoh hills in the Chaghai District of Balochistan. On May 30, yet another test was carried out in the same area. Muhammad Nawaz Sharif addressed the nation in these memorable words: The five tests by India had made the action “inevitable”. rules of communication and are openly threatening us,” he candidly said. during 1998, went to the Pakistan Muslim League Nawaz (PML N) government, laying strong foundations for a stable and prosperous Pakistan. were able to tolerate anyone’s hegemony and arrogance, this country would not have come into existence at all,” Nawaz Sharif remarked.